NVIDIA Home > Support Home Page > Knowledgebase Home Page > Does the 3D Vision emitter show up in Windows Device Manager? 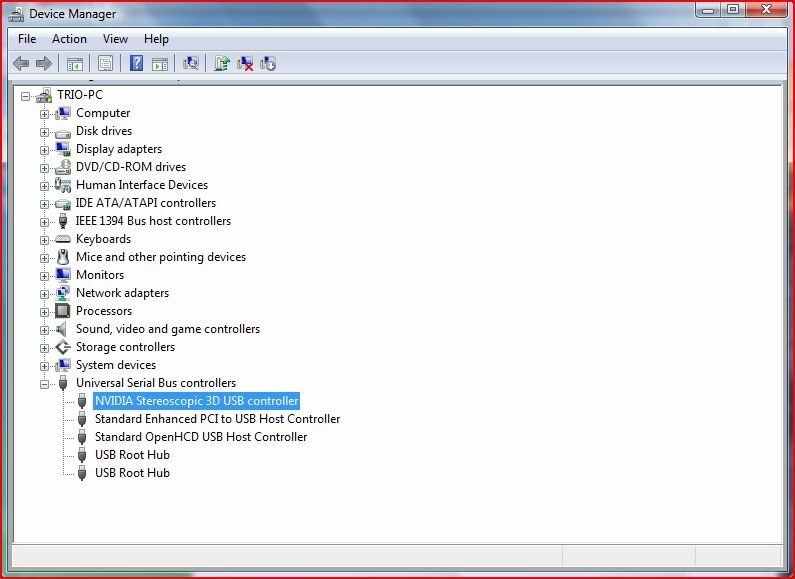 The NVIDIA GeForce 3D Vision Infrared Emitter shows up in the Windows Device Manager as "NVIDIA Stereoscopic 3D USB controller." Please note that the emitter will Not show up for monitors or laptops that have integrated emitters.